Are you serving up a Logic Sandwich™? This is the second in a series of posts looking at The Watertight Marketing Framework. Today we’re looking at your marketing messaging, i.e. what to say to people, and when. Marketers will often talk about finding your killer message or ‘unique selling point’. This supposes that there’s one magic message that will get people to buy your stuff. But, if you don’t know what to say next, what use is that carefully crafted one liner? In reality, there are a series of connected messages that differ according to the thought process a person is going through at the time and in relation to a given decision. Different sides of the human brain kick in at different stages in the process. To get someone all the way through to buying from you, you’ll need to be serving up a Logic Sandwich. That is, marketing messages that start with emotion, lead onto logic and then return to emotion to seal the deal. A buying decision is a journey. And, you need to keep people moving. The emotional and logical content of what you say is at the core of maintaining this momentum. If we map this against the typical steps in a considered purchase, you’ll quickly see that not only is there a balance to strike, but an order to address. To grab someone’s attention, you’ll be most effective if your message gets an emotional reaction. Because, we’re not consciously in control of our emotional responses. They seem to happen to us. So, if you can trigger an emotional response (often negative = a problem) your buyer can’t help but notice you. This is why messaging of this kind is good for generating Awareness and Interest. Then the logical brain kicks in. The grown up inside starts asking those reasonable and logical questions. About things like cost, time, reliability, etc. This is where proof is essential. An educated adult was taught from an early age to look for evidence or third party opinion to back up a decision… so, that’s what they’ll need at this stage in a buying decision. Give it to them. However, once they’ve ticked their logical boxes their inner child will surface. The emotional side of a person swings back into action (usually excitement or relief). You need to recognise this switch, validate it and give it space to happen. A ‘feel good’ factor of their imminent or recent purchase is exactly what you’re aiming for. 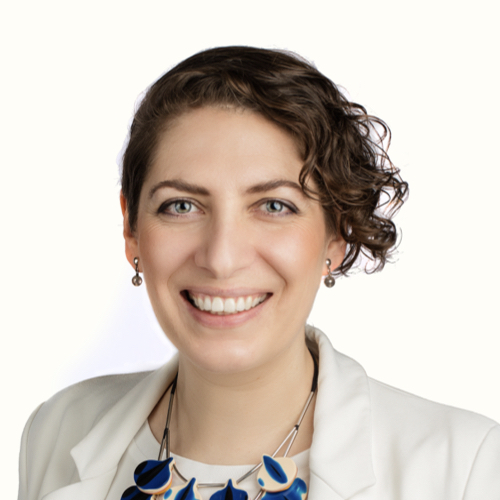 It’s a quick-fire summary, but I hope it gives you a flavour… and might just help explain why that elevator pitch you’ve worked so hard on hasn’t actually resulted in any sales. 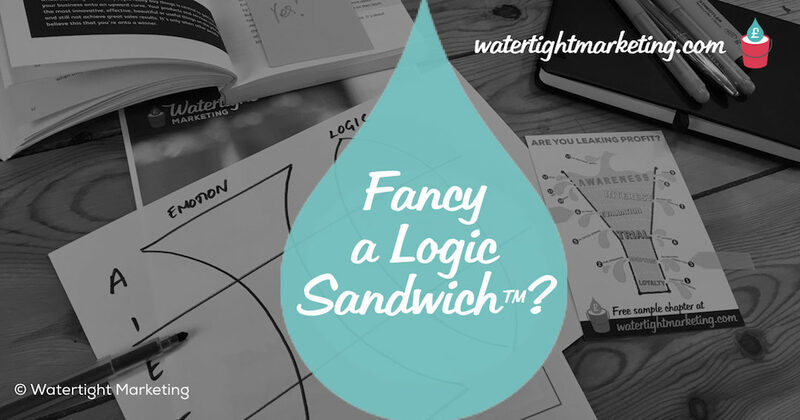 Do you have any great examples of the Logic Sandwich in action, or where people have served up the right messages but in the wrong order? Chapter 3 of Watertight Marketing looks at this in depth and gives you what you need to get appropriate integrated messaging in place for your business that will get more people all the way through their decision to buying from you.